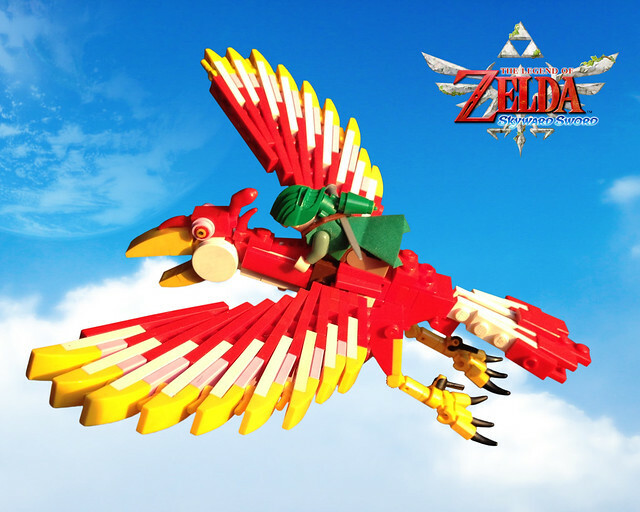 You all know what a big Nintendo and Zelda fan I am, so to discover this awesome MOC in my Flickr feed this morning resulted in much grinniness. Builder Siercon and Coral are presently engaged in a battle royale with Legohaulic and Littlehaulic in another Iron Builder. The seed part is the 1x2 curved slope you see so perfectly used on the wingtips. Now I want to play a little Skyward Sword.